Hand Drawn Vector Illustration With Healthy Food. Sketch. Chalkboard. 免版稅剪貼畫，向量插圖和股票. Image 43333438. 版權商用圖片 - Hand drawn vector illustration with healthy food. Sketch. Chalkboard. 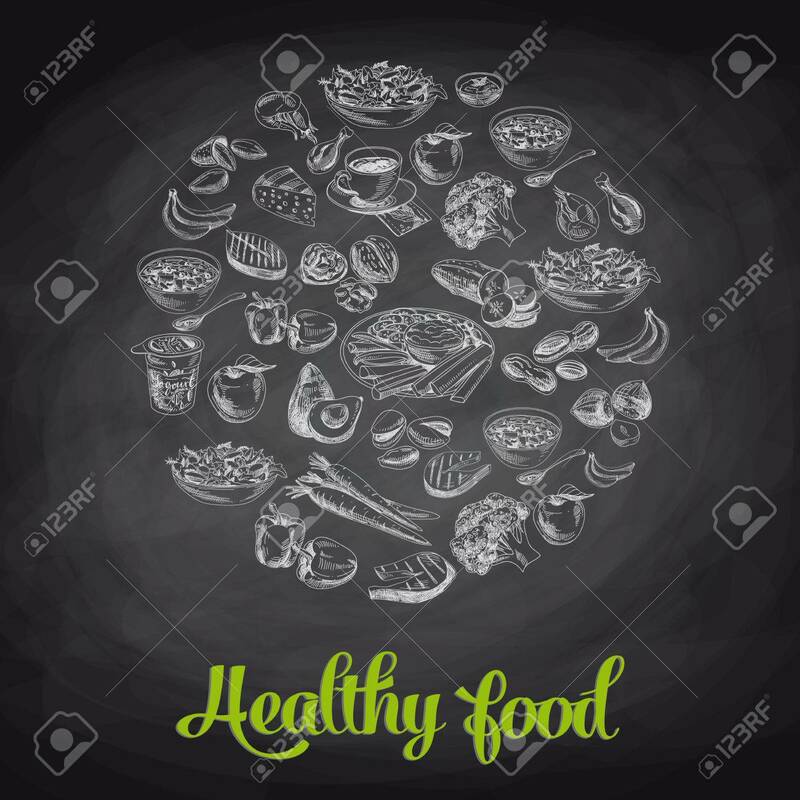 Hand drawn vector illustration with healthy food. Sketch. Chalkboard.